How will the youngest billionaire use his new found wealth for social causes? The Forbes 400 list includes the youngest of all is 23-year-old Facebook founder Mark Zuckerberg, who is quite possibly the world's youngest self-made billionaire ever. I wonder if there is a Zuckerberg Foundation yet or how he will use some of his new found wealth to solve social issues. (Peter Deitz wrote this up a few months ago.) Need to research this further. Anyone know? 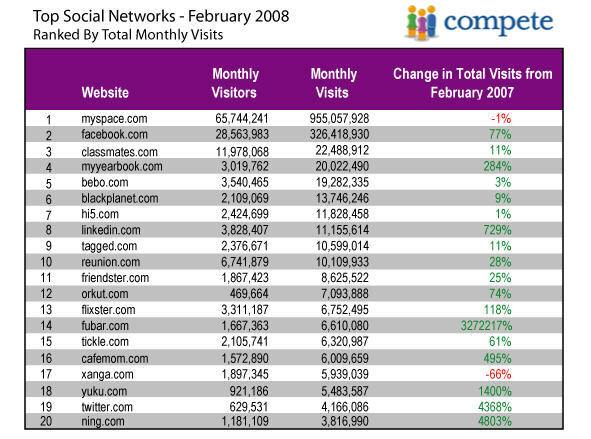 Here's the monthly report from Compete on visits and visitors to social network sties. For the big players in the space, February represented a slight decrease in traffic, but the year- over-year growth rates seem to indicate that social networking (as an industry) has yet to peak. 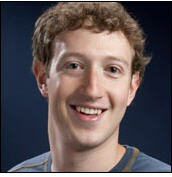 Will Facebook founder be on next year's Forbe's List of Richest Men? Niche social networks taking off and innovative business models.